The Revolution Slider is the highly acclaimed responsive WordPress slider that we use as the home page slider for our sites on the new framework. 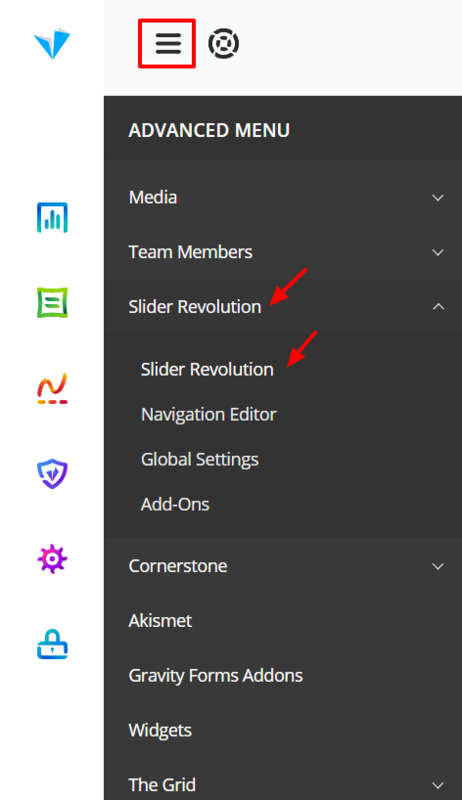 From here you will be inside the Revolution Slider main page, where all of your current sliders are shown, and as well the ability to add new ones. Navigate to the slider you want to edit, and click on the pen icon that will appear shortly after hovering. Select the Slide thumbnail you want to change. Scroll down to the Slider Main / Background Image section and click on the Media Library button. This will open up your Media Library, where you can then either upload a new image or select one from the Media Library. After uploading/selecting the image, click on Insert. 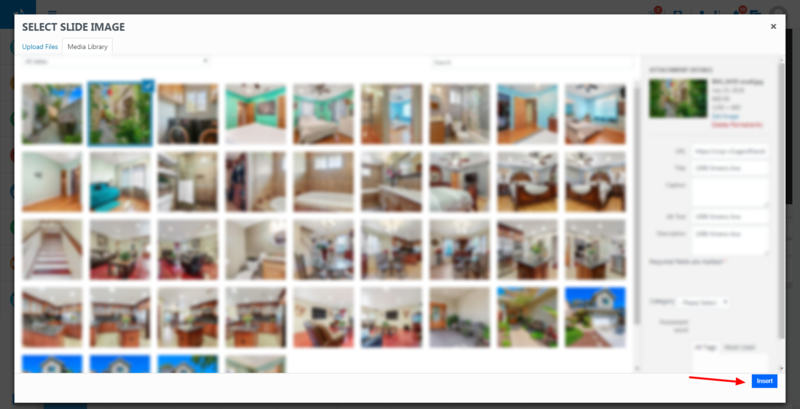 After you have your new image added, hover over the green Save button to save your changes for the slide. Revolution Slider is drag & drop friendly, which means you can hold down the click on a slide, and drag it to have the desired slider order. NOTE: You need to click on the Save Slide button after you change the order. Hover on the slide you want to delete, and you will notice a dropdown where the delete button will appear for the selected slide. Don't forget to Save the changes afterwards.